Shepherding is one of the oldest occupations in the world, originating more than 5 000 years ago in Anatolian region. It then spread to Europe in the next 1 000 years, and there have been shepherds ever since on the continent. Shepherds protect the flock from predators, monitor the individuals’ health and guide the livestock through rough terrain. They play an important role in the economy, particularly in the Carpathian mountains, Pyrenees and northern England. However, the number of shepherds has been in decline in the last few hundred years. 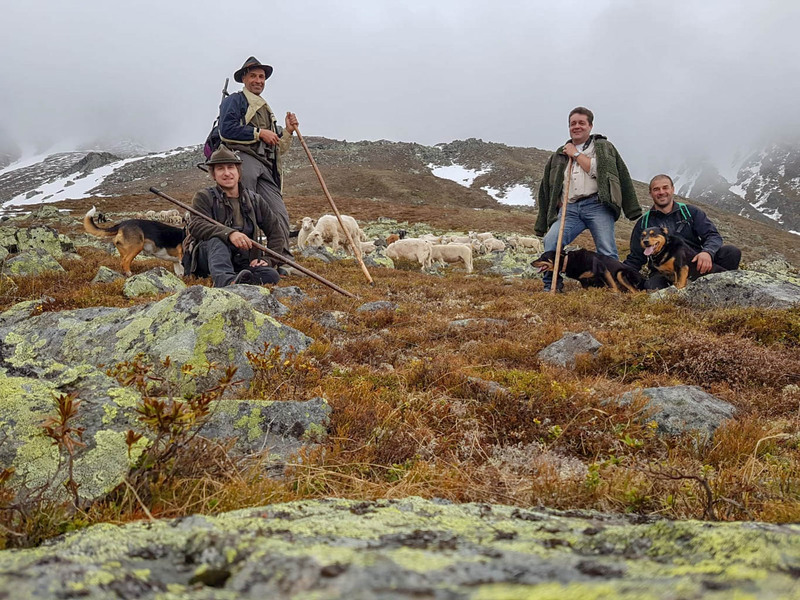 Losing this valuable and traditional practice would impact the alpine ecosystems significantly. But the future might be brighter than we think, as the return of the wolf also leads to the return of the shepherd. One of the main roles of shepherds is to protect the livestock from predators. Without any natural predators, sheep are left to roam in relatively safe hillsides, without the shepherds. This lack of natural predators was the direct effect of hunting the wolf, golden jackal and lynx to extinction in many parts of Europe. The role of a shepherd became redundant in places. This redundancy was also increased by urbanisation and industrialisation, and the number of shepherds declined. Nowadays the large carnivores are in the process of returning to some of their old territories. For example the wolf returned to Germany in 2000, and now there are around 60 wolf packs in Germany. A second wolfpack has just been announced in Austria, found on the Austrian-Czech border. There are a lot of people upset or afraid about the return of the wolf. However the wolf is also known to have a lot of positive effects on the environment. Another positive effect of the wolf is also that it is bringing back the shepherds. Shepherding has been part of Europe’s cultural landscape for thousands of years. The increase in shepherds is now leading to the renovation of mountain huts, and increased job opportunities in rural communities. Switzerland has just opened up a new school in shepherding in recognition of the need for shepherds through Europe.